Today, Capt. Joe Kimball is chief of the U.S. Coast Guard’s Office of Aviation Forces – but not too long ago he was the commanding officer of Coast Guard Air Station (AirSta) Miami, Florida, where he, being a seasoned aviator, sometimes piloted the service’s medium-range airplane, the HC-144 Ocean Sentry, on patrols. Much public attention has been paid to the Coast Guard’s new generation of surface assets – the Legend-class national security cutters (NSCs), the Sentinel-class fast response cutters (FRCs), and the Heritage-class offshore patrol cutters (OPCs) – but perhaps less so their counterparts in the air. In the mid-term report he released last summer, Adm. Paul Zukunft, commandant of the U.S. Coast Guard, noted that in his four decades of service, “I have not witnessed a more geo-strategically complex environment.” Multiple trends – including a boom in commercial traffic throughout the U.S. Marine Transportation System; increasingly sophisticated transnational organized criminal networks that destabilize societies throughout the Western Hemisphere; and more maritime activity both in the Arctic and in vast areas of ocean protected by U.S. law and international treaties – are requiring the Coast Guard to do more every year, over an expanding area, in collaboration with a growing number of local, federal, and international partners. Given such a challenging set of circumstances, identifying other aircraft and surface vessels by flying a patrol plane close enough to either see them or make radio contact is, to put it mildly, not the most efficient way of doing things. Much public attention has been paid to the Coast Guard’s new generation of surface assets – the Legend-class national security cutters (NSCs), the Sentinel-class fast response cutters (FRCs), and the Heritage-class offshore patrol cutters (OPCs) – but perhaps less so their counterparts in the air. Like the new Coast Guard cutters, the emerging generation of the service’s air assets are suited to the 21st century Coast Guard – not simply because they are bigger, faster, or have a longer range than their predecessors. Their value to the service lies in their ability to more efficiently cover a wider area in collaboration with federal and international partners. Their sophisticated sensing, computing, and communications technology allows operators of these new aircraft to analyze and share intelligence while deployed, making it easier to work as a team to address threats. 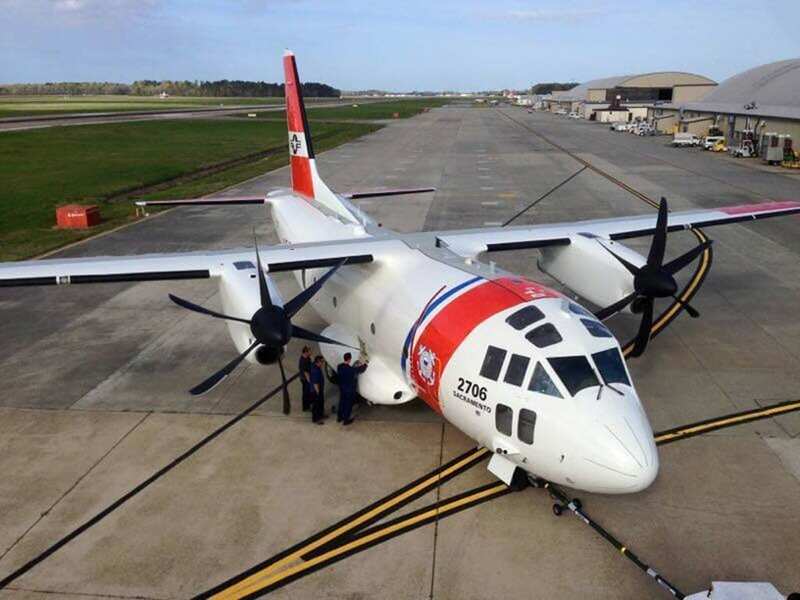 The new generation of the Coast Guard’s long-range surveillance and transport aircraft, for example, the HC-130J Super Hercules, is a nose-to-tail overhaul of the previous generation of HC-130Hs, with new Rolls-Royce turboprop engines, composite scimitar propellers, and digital avionics. These upgrades have increased the range of the aircraft by 40 percent and its top speed by 15 percent, while decreasing its takeoff distance by 15 percent. But the aircraft’s most important enhancement may be its suite of command, control, communications, computers, intelligence, surveillance, and reconnaissance (C4ISR) components, which combine radio and digital transmission of voice and data. What this means is that a Coast Guard airplane pilot will no longer have to identify another mission asset – a ship or an aircraft – by flying close enough to make visual or radio contact; the Minotaur package integrates the Automatic Identification System (AIS), so that the crew will instantly know who’s in the area, and where they are. The Super Hercules features advanced radar and electro-optical/infrared (EO/IR) thermal imaging sensors, which enable operators to identify targets for search and rescue, law enforcement, and intelligence-gathering missions. 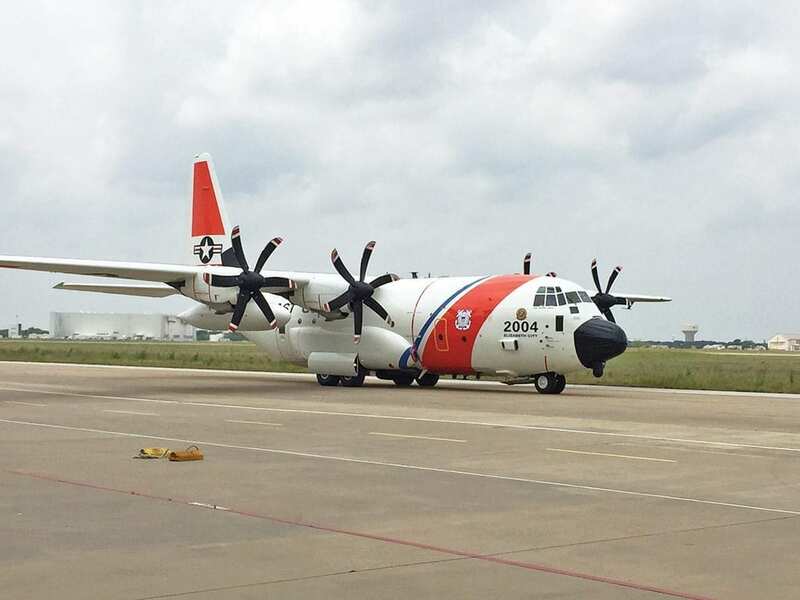 The Coast Guard’s HC-130J is the first C-130 in the world to feature a 360-degree belly-mounted surface-search radar. Like all Coast Guard fixed-wing aircraft, the Super Hercules is also in the process of receiving a software package, jointly developed with the U.S. Navy, that will integrate the input and output of the aircraft’s sensing and communications equipment, and allow this data to be shared among all similarly equipped assets in a given mission. Called Minotaur, the system is a “missionization” package that will incorporate these systems and help to create a common operating picture. The implementation of Minotaur in all Coast Guard fixed-wing aircraft will have benefits beyond the creation and correlation of a common operating picture. Real-time tracking of data among assets, and the ability to record and play back this tracking sequence, will become a valuable tool for prosecution and adjudication. Because Minotaur is a government-owned open architecture system, operating on interoperable assets across multiple platforms belonging to the departments of Defense and Homeland Security, it can be grown and expanded more efficiently than a proprietary system. The Ocean Sentry was a marked improvement, offering the Coast Guard the ability to remain on scene and track targets for longer periods of time – up to 10 hours – with improved sensor capability and room for more passengers. The Coast Guard’s Program of Record calls for a fleet of 22 Super Hercules aircraft, and the 10th was delivered in March 2017. Beginning in the summer of 2016, the service awarded contracts for missionization of this fleet, and a prototype with the Minotaur Mission System Suite has undergone in-flight testing at Naval Air Station Patuxent River (Pax River), Maryland. Three additional HC-130Js have begun missionization at L3 Technologies in Waco, Texas – a process that, when concluded, will complete their transformation into the Coast Guard’s new generation of long-range aircraft. Over the past decade, the Coast Guard has been phasing out its older HU-25 Guardian, a high-speed medium-range aircraft that was finally retired from service in 2014. Its replacement, the HC-144 Ocean Sentry, was phased in at Coast Guard air stations beginning in 2009. The Ocean Sentry was a marked improvement, offering the Coast Guard the ability to remain on scene and track targets for longer periods of time – up to 10 hours – with improved sensor capability and room for more passengers. By 2014, the service had acquired 18 Ocean Sentries, and the HC-144 was logging more flight hours annually than any other Coast Guard aircraft. In order to become fully integrated into the Coast Guard fixed-wing fleet and capable of shared maritime domain awareness – to earn the designation HC-27J – the Spartans will undergo a missionization process to make them interoperable with other Coast Guard assets. The Coast Guard’s original plan called for a fleet of 36 Ocean Sentries – but this plan was altered when Congress, in the National Defense Authorization Act of 2014, directed the service to cease its HC-144 program and instead acquire and missionize 14 C-27J Spartan aircraft, to be transferred from the U.S. Air Force. The Ocean Sentry and the Spartan are twin-engine turboprops, similar in configuration – according to Kimball, the Spartan is faster, with greater range, endurance, and lift capability – and will play similar roles in medium-range surveillance. On May 1, 2017, Coast Guard AirSta Sacramento, the first operational unit to receive C-27Js, achieved its full complement of aircraft after delivery of its sixth Spartan. The integration of aircraft that had already been purchased by the federal government will save the Coast Guard hundreds of millions of acquisition dollars, and as delivered by the Air Force, the C-27Js, outfitted with weather radar and communications equipment, are capable of supporting transport and other Coast Guard missions. In order to become fully integrated into the Coast Guard fixed-wing fleet and capable of shared maritime domain awareness – to earn the designation HC-27J – the Spartans will undergo a missionization process to make them interoperable with other Coast Guard assets. For both the Spartan and the Ocean Sentry, the Coast Guard is working with Naval Air Systems Command (NAVAIR) at Pax River on integrating the Minotaur mission system architecture. The Ocean Sentry missionization is part of an overall program, Ocean Sentry Refresh, to upgrade its flight management system. So far, two aircraft have successfully undergone the refresh – and they’re now designated HC-144Bs. In May 2017, the Coast Guard contracted with a thermal imaging manufacturer to outfit eight Ocean Sentries with improved EO/IR sensors, increasing the stand-off distance at which they can identify a contact. “Missionization” will mean something slightly different for each of the Coast Guard’s three fixed-wing aircraft, but the same basic standards of the Minotaur architecture will apply to each. Standardizing this architecture will greatly improve efficiency and effectiveness across a range of activities – not only operations, but also training, logistics, and maintenance. additional fuel tanks to extend its range. The Jayhawk’s new cockpit electronics put weather data, flight plans, search and rescue information, maps, and other crucial flight data right at the pilot’s fingertips, so that aircrews can spend more time focusing on mission objectives. The MH-60T, equipped with anti-icing technology, is also capable of rescuing up to 15 people. The additional capabilities and extended range (the Jayhawk has a range of about 600 nautical miles, compared to the Dolphin’s 300), recently led Coast Guard AirSta Traverse City to replace its existing fleet of Dolphin helicopters with Jayhawks. The move will allow pilots to fly missions over the air station’s full area of responsibility, which includes all of Lake Michigan, all of Lake Superior, and most of Lake Huron. The MH-60T, equipped with anti-icing technology, is also capable of rescuing up to 15 people. Traverse City’s Dolphins were sent to other Coast Guard facilities in need of their agility and short-range capability. Given the increasing importance of drug interdiction operations, which often require a helicopter capable of landing on a cutter or ship helipad, the change in Traverse City has been of mutual benefit. 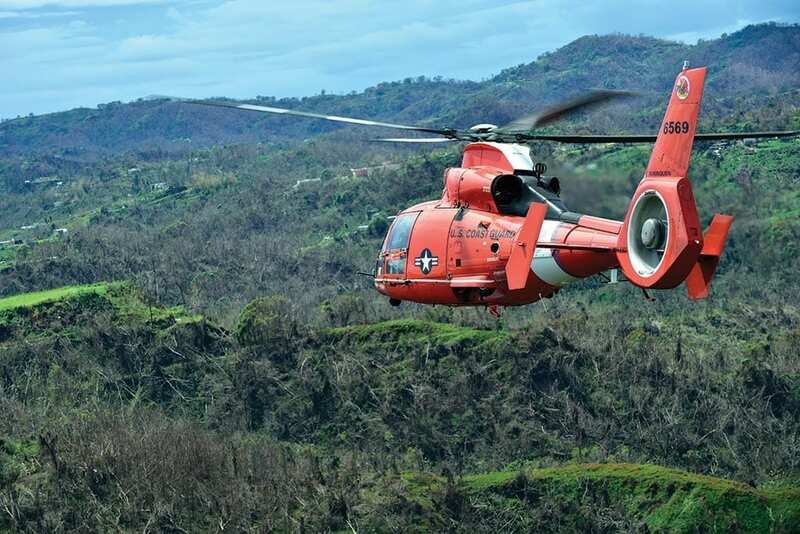 The Coast Guard fleet of 102 Dolphin helicopters, meanwhile, is in the final segment of a similar incremental upgrade, a transformation into MH-65E short-range recovery helicopters. The -E series features new radar, EO/IR sensors, and a CAAS cockpit similar to the Jayhawk’s. 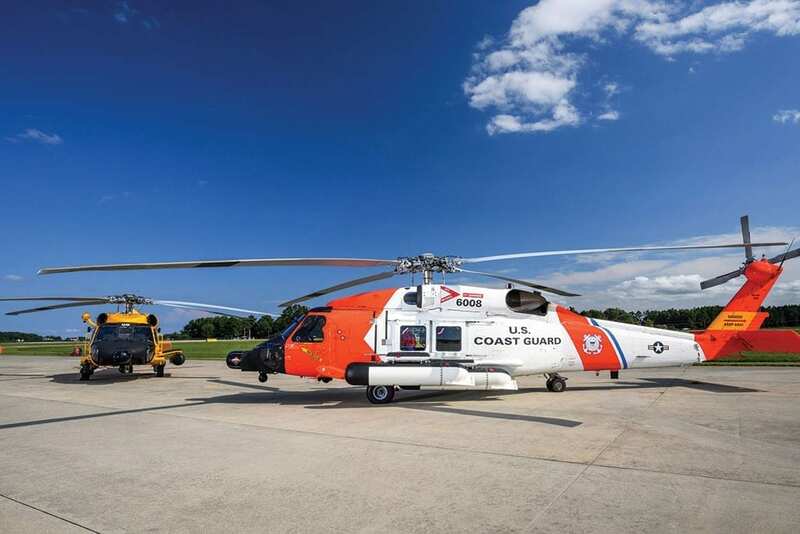 The Coast Guard delivered its second MH-65E to Aviation Training Center Mobile, Alabama, for use in developing a training curriculum for the new upgraded models. Like all Coast Guard air assets, the helicopters of the future will likely resemble their counterparts in the other military branches, while bearing the indelible reminders – beyond the white and orange paint – that they’re Coast Guard assets, capable of doing much more, over a much wider area, in collaboration with more partners than ever before.